Are You Writing Because You Like It? The Renaissance Center – GM World Headquarters on the Detroit River. Eight years and six months ago I was sitting in my cubicle by the window high in the 400 Tower of the Renaissance Center in downtown Detroit, waiting for my professional writing career to begin. In truth, it wasn’t the beginning of a career. It felt more like the end of one … and I was far from certain I was doing the right thing. It was a chilly March morning on the river, and I had just signed the papers indicating my acceptance of an early retirement offer from General Motors, effective the first of April. I’d originally been hired to produce the GM annual report, and that was my main responsibility for almost twenty years. It kept me busy from September to March. Days were routinely 12-16 hours long. The rest of the year I considered peaceful … I only worked ten-hour days … producing a host of other material, from news releases to technical journals. I even produced a newspaper GM circulated to all domestic employees (at the time, that was about 800,000). Occasionally, I was allowed to write an article for the paper. When I did, I wove storytelling elements into it. My editor didn’t care for that, but our VP liked them, which made all the difference. He didn’t allow the articles to be changed. I even got a byline. In nearly three decades with GM I had many assignments, all dealing with communications and marketing. I even got to create and lead an early group that dealt with designing the new communications tool that appeared in the mid-90s … functional web sites. But by then I was managing people, not creating a thing. On my last GM assignment, I wasn’t even doing that. As Marketing Operations Manager, I was a group of one … responsible for reporting to our VP on how well brand teams used their advertising budgets. It was not something guaranteed to make friends. In fact, except for the time I had to tell 30+ people they didn’t have a job any more, it was the most disheartening work I’d ever had to do. That chilly March day in 2008, although there was a lot on my mind, none of it was about writing. I was tired of what I did. I wanted out. My main concern after deciding to leave boiled down to these few words: What am I going to do with the rest of my life? Given what’s happened since, you might think leaving to write fiction would seem like a natural choice to make. After all, I’ve enjoyed it and played around with it since I was seventeen. But it wasn’t. A natural, I mean. I wanted to keep working in a creative capacity for a few years … but thanks to some really bonehead moves by our President at the time (G.W. Bush), by mid-2008 our economy faced its most dangerous crisis since the Great Depression of the 1930s. There was no other work of any kind to be had … anywhere. So, with nothing else to do, I wrote. I’d written lots of stories, but the decent markets for short stories were becoming smaller by the day. I decided if I was really going to write fiction, I had to write a novel. I took some of the earlier things I’d done and expanded them to create a novel about kids in a fictional town during the tumultuous Vietnam era, trying to capture the essence of what it felt like to grow up back then in a small, working-class community. That’s how REICHOLD STREET was born. Then in June 2009, right about the time GM filed for Chapter 11 bankruptcy (making my decision to leave seem clairvoyant), I began searching for an agent, since none of the main publishing houses would even talk to me without one. It was a decidedly painful experience. After almost two years of getting essentially nowhere, I finally decided to produce the book myself. I thought I was getting too old to wait for the publishing gods to smile on me. It was the right thing to do. People liked it. It won a Readers’ Favorite Gold Medal and was reviewed positively by Kirkus Reviews. For years I had been asked to plainly state facts in a way the audience could quickly grasp. You know … the who, what, when, where and how kind of writing most journalists learn, along with the AP Stylebook. Boring stuff. Which is why I snuck storytelling elements into as many articles as I could. Now I get to play with ambiguity and nuance, dialogue and metaphor. If you’re a writer you know what I’m talking about … making something out of nothing … the things that make writing fiction interesting. I’ve published six books so far, including four award winners. That includes my latest novel, BLOOD LAKE, which was just named a Bronze Medal Winner in the 2016 Readers’ Favorite competition (Young Adult Horror) … and, more importantly, I like what I do. Funny thing is … the work part of it is a lot like the other writing I used to do … only harder. I still have to do a lot of research, but it goes far beyond who, what, when, where and how. I have to investigate local and world history, politics and religion, semantics, period jargon and dress styles, and specific-location weather. Not to mention period music, literature, radio and television shows, period magazines, local attractions and sometimes even plant species, all to help create an accurate sense of place. But I don’t feel like I’m wasting anyone’s time … including my own. I’m not making tons of money … but I’m enjoying myself … and I’ve decided that’s what it was always about anyway. On Saturday, October 8, 2016, I’ll be attending the fabulous Ninth Annual Rochester Writers Conference at Oakland University. On Sunday, October 23, 2016, I’ll be signing books from 11:00am-5:00pm at the Books & Authors Event at Leon & Lulu in Clawson, Michigan (96 W. 14 Mile). On November 19, 2016, I’ll be in attendance at the Readers Favorite award ceremony at the Regency Hotel in Miami. If you’ve written an interesting book too, consider submitting it to the Readers Favorite annual contest by using the banner link below. 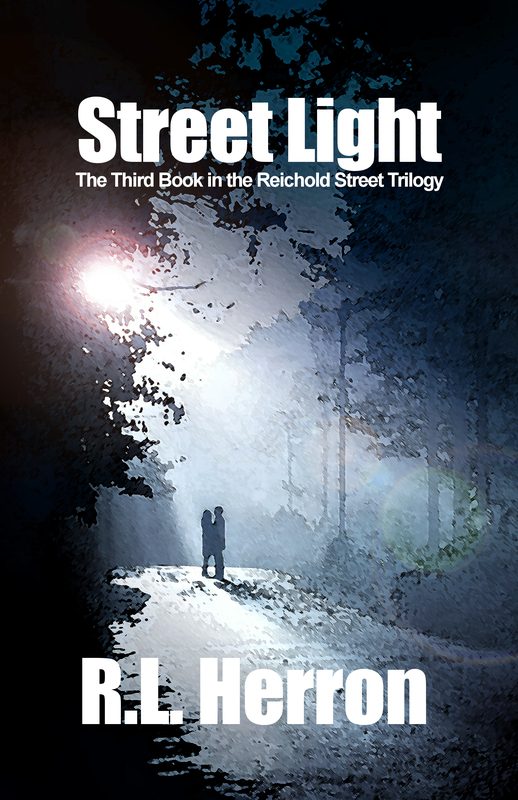 My new book STREET LIGHT will be available on Amazon this week. Doesn’t seem like much of a headline, does it? I’d like to be running full-page ads in every major newspaper. Alas, no budget. So, instead, I’ve sent most of them a press release that I’m sure they’re busy ignoring. I’m proud of those reviews. Which is why I took a moment to toot my own horn (since I’m afraid no one else is going to do it). Still working on some earned media (see ‘Tags’ below)…and the promised podcast answering your questions about writing. Also planning some other author interviews…stay tuned. My books have garnered some terrific reviews, as you can see. You can buy some of them by using the Amazon link below. You’re also invited to visit my website, BROKEN GLASS, or like my Book of Face page. You can also follow some of my shorter ramblings on The Twitter. John Walker Michaels, a man known to the Hmong of Laos as the Valley Walker, a man the army has classified as a deserter … an openly emotional man who draws her out of her shell and into the world of Hmong mysticism. At the end of this time … even after talking to him, learning his history and meeting his family … Special Investigator Teri Altro can only shake her head when asked about him. Welcome to “Painting With Light,” Tim. I’m fascinated with your novel. Can you tell us a little about yourself and your background? I grew up in Gary, Indiana. My father worked in the steel mills, then turned to preaching the Gospel. My mother was a legal secretary. 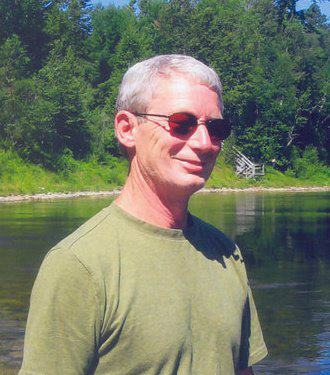 After graduating from high school, I joined the Army and volunteered for Vietnam. 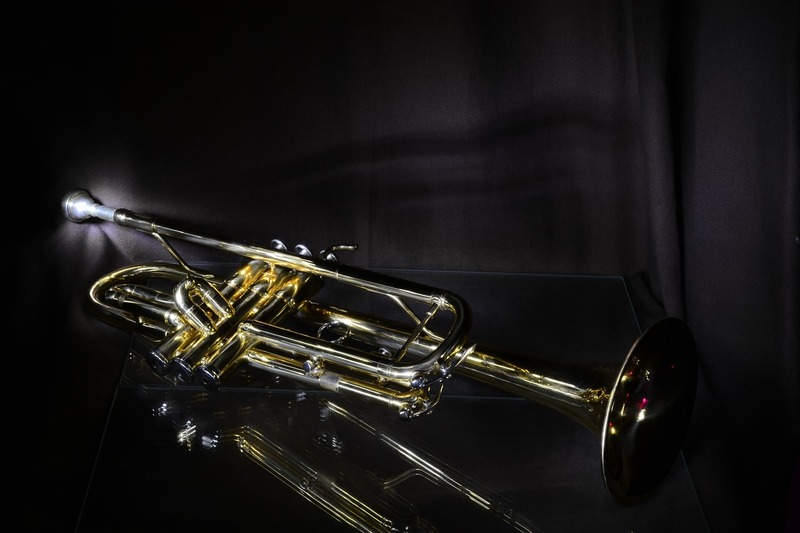 When my military service was complete I studied music, but ended up working in an automobile engine testing laboratory. An interesting background. What were you like at school? I was a dreamer in high school. Not a bad kid, but not very motivated, so my grades were poor. I did better in college. Were you good in English? Not really, but I liked reading, which got me pushed into the advanced English and Composition courses. Stephen King, Thomas Harris and John Steinbeck. They can come from anywhere. An idea occurs to me, then works at me until I spend a lot of time pacing the floor and imagining it coming to life. Do you have an “elevator speech” for your novel? No. I’m no good at that sort of thing, and I prefer the stairs. To me, The Valley Walker is a soldier’s story. There’s a lot of that in my work, too. Do you work to an outline or do you prefer to just see where an idea takes you? I can’t work to an outline. More power to those who can, but it’s just not me. My writing started as an outlet … a purely selfish indulgence, I guess. Once I put my work out there and started getting feedback, I realized I wasn’t being clear about the thoughts I was trying to convey. Now I try to write in a way that makes more sense to the reader. None of it is “hard” but it’s definitely a growing process. 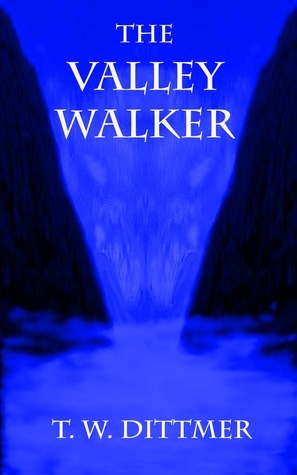 The Valley Walker is my first novel, and it’s a long road ahead of me. It’s been an interesting journey, so far. I’ve met some great people and learned more than I thought possible. I imagine the journey will become even more interesting. It depends. Some books I like on my eReader, others I prefer in print form. That changes as I change, but Steinbeck’s East of Eden is my favorite right now. I don’t have a favorite quote. I don’t like to align my life with another person’s idea of achievement or inner peace. Do you have anything else in the works right now? I am currently working on the second draft of my next novel, in the same genre. I’m looking forward to it. Good luck, Tim … and thanks for doing the interview. Thanks, Ron. It is truly an honor to be associated with a serious writer like you. “The Valley Walker” is one of those rare stories that will stay with you long after you finish reading. Most of the characters are totally believable, and the lead character, John Walker Michaels, was superb. This unusual story of a young soldier who turns into so much more will keep readers turning the pages. Well done! 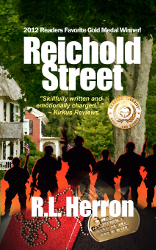 My readers know there is a lot of realistic Vietnam War reference in my novels “Reichold Street” and “One Way Street.” I think the books are a perfect way to remember, and express my gratitude to, friends who served or perished over there.